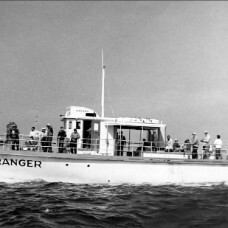 The "AMERICAN EAGLE" was another of the party fishing boats built by Deebold Boat Works at Atlantic City, NJ. 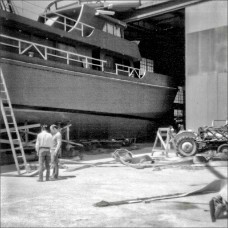 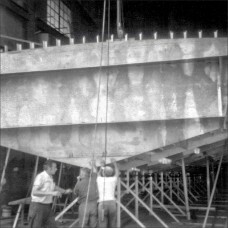 Deebold boats were typically very heavy, but a pair of GM 12-71 diesel engines made the "AMERICAN EAGLE" a speedy boat. 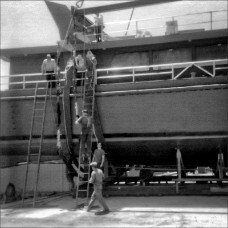 Launched in 1965 as the "JO ANN IV", she sailed from Bahr's Landing at Highlands, NJ. 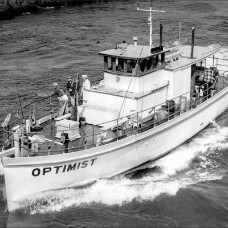 She then sailed as the "BIG-MARIE-S" from Belmar, NJ before becoming Captain Hank Leonard's AMERICAN EAGLE. 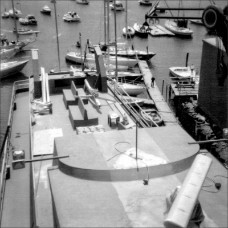 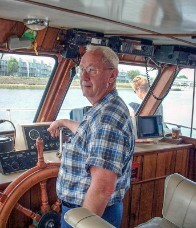 Captain Leonard later sold the vessel to Mark Campbell, who continued to operate her from Belmar, NJ as a charter boat. 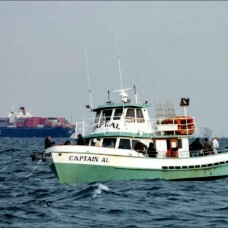 On February 29, 2004, the "AMERICAN EAGLE" entered Manasquan Inlet and lost her steering. 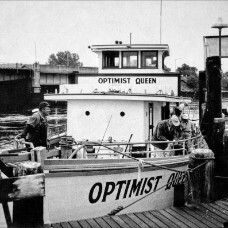 She struck the jetty inside the inlet and began taking on water. 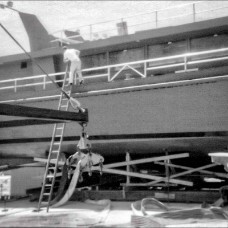 She was towed to shallow water where she later sank; the vessel was dismantled a few days later. 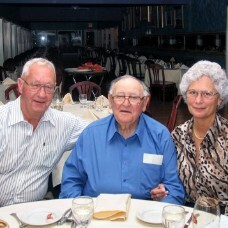 Photo courtesy of Captain Greg Markert.